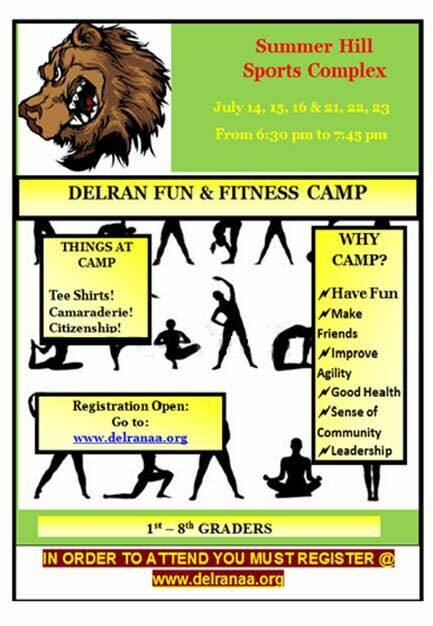 Delran Athletic Association is holding a fun and fitness camp for kids in 1st to 8th grade. Camp starts July 14th at 6:30 at the Summer Hill Sports Complex. To register go to: delranaa.org.